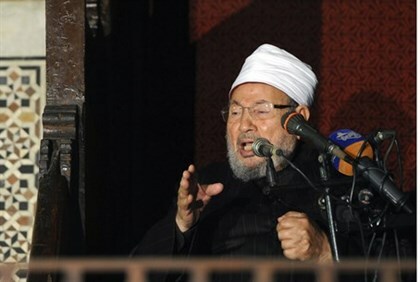 Sheikh Yusuf al-Qaradawi, chairman of the International Union of Muslim Scholars and considered the leading decisor on Sunni Muslim religious law, opposes an American military operation against the Islamic State (IS). Earlier, Qaradawi ruled that IS is an illegal entity according to Islam, and therefore, it is forbidden to swear allegiance to Caliph Abu Bakr al-Baghdadi. Within IS, Qaradawi is being mocked, and his statements are said to reflect his waning popularity in the Sunni Muslim world and the growing popularity of IS.